Washington bed and breakfast travel guide for romantic, historic and adventure b&b's. 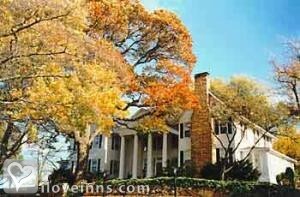 Browse through the iLoveInns.com database of Washington, Virginia bed and breakfasts and country inns to find detailed listings that include room rates, special deals and area activities. You can click on the 'check rates and availability' button to contact the innkeeper. The town of Washington was originally surveyed by George Washington when he was only 17 years old. It was the first of 28 towns in America to be named after the president. The community has changed little over the years; the streets are still laid out the way he surveyed them and the population hasn't increased significantly in the last 100 years. Washington was a sleepy community until a couple of enterprising young men opened a restaurant in a garage in the middle of town. From this small beginning, the restaurant went on to become the first 5-star, 5-diamond facility in America. This community has become a favorite place for weekend get-aways. There are excellent art galleries, boutiques, antique shops, theaters, and restaurants. Near by you will find Virginia's hunt country, Sperryville, the Shenandoah National Park, Skyline Drive, and Front Royal. By Gay Street Inn.